Chiavari Chairs are the classic special event chair. Our Chiavari Chairs are built for Commercial Use in Hotels, Wedding Venues, Restaurants, Banquet Halls and Rental Companies. We offer Chiavari Wholesale Chairs. 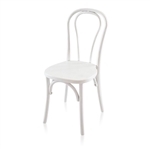 Factory Direct Prices on our Wholesale Wood Chiavari Chairs, Resin Chiavari Chairs and our New Aluminum Chiavari Chairs. Chiavari chairs # 1 Seller of Chiavari Chairs since 2002. Call Maria for Quantity Chiavari Chair Discounts - PRICES INCLUDE US GOV'T TARIFF 8% IMPOSED BY OUR PRESIDENT.